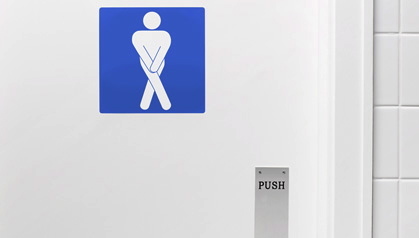 Over the last few years, I have had bladder problems. Before now, it was simply an inconvenience. But lately it has gotten out of control. Everything I have tried has failed. I’ve been on various medications. I wear Depends religiously. I’ve even tried self catheterization, with little success. I am still aware of when I need to pee; I just cannot get to the toilet in a timely fashion anymore. And when trying to use the restroom, timely is the name of the game. I’m just simply tired of “accidents”. So this week, in an outpatient procedure, I will receive a surgically implanted suprapubic catheter. My urologist tells me it’s common for patients with multiple sclerosis. I’m not really clear how visible it will be or how often it will have to be changed. Basically, I have a lot of questions. I’ll be sure and write them down so I can get the answers during my consultation. I just can’t wait to be happy and dry. Wish me luck. Good luck with the procedure. We hope you will be well. Nicole, I wish I could self-cath. but was unsuccessful. Botox sounded so promising. I will be interested in how you feel about this procedure. I am still using pads and take Toviaz and Imipramine, but still get infections. Sending positive thoughts your way that all will be well for your procedure, and hopefully some relief for you. Thank you for your blog. Good luck Nicole- please keep us posted on how this goes. A lot of us need to know this info but sorry you have to be the test case for it. I just hope it helps! I pray for the best for you Nicole. Keep us posted, please. Good luck with this Nicole! Ive been on detrol for 3 years but am considering botox for spasms. Keep us posted and I certainly hope that you can some quality in your life with this and thank you so much for sharing your demyelinating warrior journey with us. Hi, Nicolle. I’ve experienced the very same problems of urgency and not being able to get to the bathroom soon enough. I also needed help to transfer to a commode about every hour. What a pain. I have also experienced almost continual bladder infections that became resistant bacteria because I was on antibiotics all the time. Each bladder infection made me weaker with a loss of mobility until I could barely transfer at all. Sometimes we had to use a hoyer lift just to transfer. Last August I had a catheter put in in the ER. It was such a relief that I didn’t have to use all my energy transferring to use the commode. I asked to keep it in and have had it in since then. Life is much easier and the added benefit is that I haven’t had continual bladder infections. My health and mobility is much better. I’m stable and not ratchetting down to total immobility. I don’t even care if everyone can see that I have a leg bag. I’ve wondered about the benefits of the suprapubic catheter and will be very interested to hear from on how it works. Good luck! I also have had this problem, this bad problem. But my life has changed since my urologist gave me Botox in my bladder. It works perfect. I just need to help my self with a little green catheter every 3-4 hour. Do you now about this in the USA? Let me know how that goes lady! Good luck. Good luck Nicole! This is worth a try and I hope it works. You are always in my prayers. Great luck! I have the same problems and will be very interestedin hearing the proceduer, etc.. I will pray for a successful surgery! You are a blessing to the online community . I wish the best of luck to you. I’ve read good things about your procedure, one or two of my friends have undergone it too. Best of luck Nicole. I hope that it is everything that you are wanting and more. It sounds like a good decision to me if you are having so many problems. I will hopefully give you more “freedom” and less worry. Good luck girl!!!! I have this problem as well and am on a med for it. Good luck with this Nicole. I hope it works! Good luck to you, Nicole. Keep us posted on how you are doing! I hope this helps- there’s nothing worse than that rush to take care of business, than perhaps having to clean up after not beating the rush to take care of business. Definitely wishing you luck and saying a prayer. I’ll be anxious to hear how it works for you. I also have bladder issues and am getting ready to try a med for the first time, which totally goes against my grain. Good luck with your procedure, Nicole. Sounds like this will be a good thing!